We’d love your help. 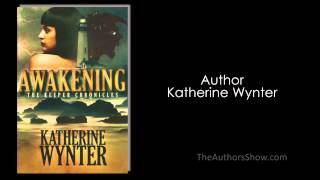 Let us know what’s wrong with this preview of Keeper Chronicles by Katherine Wynter. Rebekah Lorek is special. Not only is she the perfect hostess to the guests at her lighthouse bed-and-breakfast, she has extraordinary abilities that are only now awakening. When Rebekah’s father, the lighthouse keeper, turns up dead, her ex-boyfriend Gabe McDaniel shows up to investigate—as does a dark secret. His suspicions are soon confirmed: Rebekah’s father was murdered by a demon in disguise. As Rebekah struggles to manage the coastal inn with the help of a new houseguest she’s fallen for, she becomes more and more aware of the hidden, supernatural conflict around her. More dead bodies are discovered, and as old flames are rekindled, Gabe must take matters into his own hands to protect Rebekah from the dark forces that would see them all destroyed. Will Gabe and Rebekah solve the mystery in time? Or will humanity fall? Keeper Chronicles: Awakening is a fast-paced urban fantasy thriller in the vein of Jocelyn Drake and Jaye Wells. To ask other readers questions about Keeper Chronicles, please sign up. 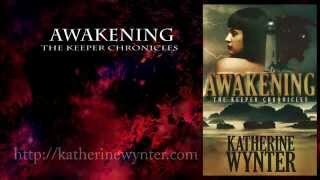 In Awakening, the first book in the Keeper Chronicles, an urban fantasy novel by Katherine Wynter, twenty-four year old Rebekah Lorek’s father, turns up dead, the victim of an apparent animal attack. But when her ex-boyfriend Gabe McDaniel shows up to investigate, things turn out to be more than what they first appear and we are sucked into a world full of witches, demons, and demon hunters. It's a world Rebekah knows nothing about, and a world her father hoped she never would. It's too late now and Rebekah must harness her newly burgeoning powers as dark and supernatural forces prepare to converge on her and use her as the linchpin in their diabolical plans. The only question is, can she and Gabe find the demons before it's too late? 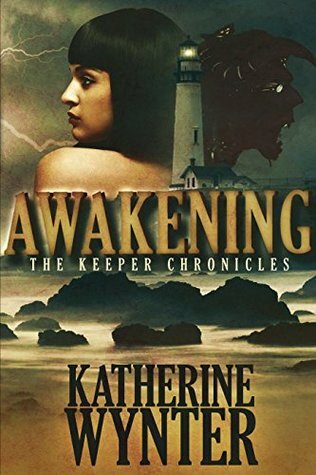 The Keeper Chronicles: Awakening by Katherine Wynter is a fast-paced urban fantasy thriller nestled firmly in the realm of New Adult, so a lot of the plot points and character interactions were fairly easy to predict. But even though I knew where the story was going from the very first chapter, Wynter's writing style still managed to keep me engaged through out the whole story. Awakening packs in the action from the very first page with a violent storm ripping through Rebekah's small town. It doesn't let up either, as Wynter adds romance, mystery, and an interesting origin story for demons and demon hunters, to create a book that is sure to keep fans of Jocelyn Drake and Jaye Wells happy and hungering for more. I was caught up and swept away in this book of mystery, suspense, and death. I loved the storyline and the characters. I hope to read the next book son knockout what happens next. Well written and very thought out. Interesting enough concept, but entirely too many sexual scenes for my taste. Additionally, there were a lot of typographical errors and mistakes, including misspelling the main protagonist's name and referring to one character by another's name. Okay, not as good as the first one.